Nokia announced back in May that they will be renaming their Ovi services such as the Ovi Store to Nokia Store. The process was supposed to happen later in 2012 and it finally has. The Ovi Store is now officially known as the Nokia Store. But the name is not the only thing that’s changed. There is a whole new app for it as well. The new app uses a redesigned interface and is built using Qt Quick. The app was originally designed for the Nokia N9 but has now been ported over to Symbian as well. The new store app brings faster UI transitions and smoother animations. Also, if you’re already logged into your Nokia account, it no longer asks you for your password every time you download an app. 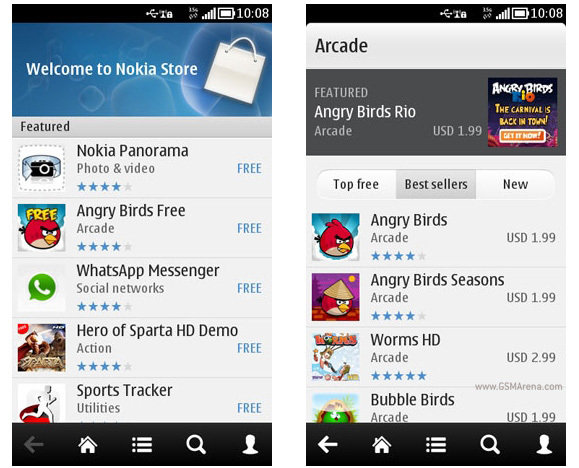 The new Nokia Store app will soon be pushed to Symbian phones as an OTA update. You can also head over to Nokia Labs and download the beta version right now.